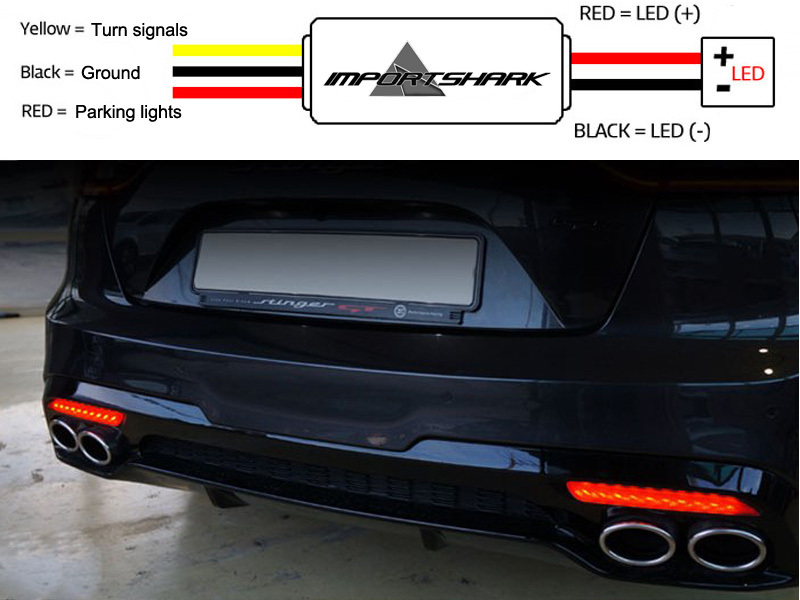 Add functionality to your Stinger rear reflectors with this full LED assembly set, which allow for simultaneous illumination mimicking the taillights--turn signals, brake lights and parking lights. (3-way functionality). 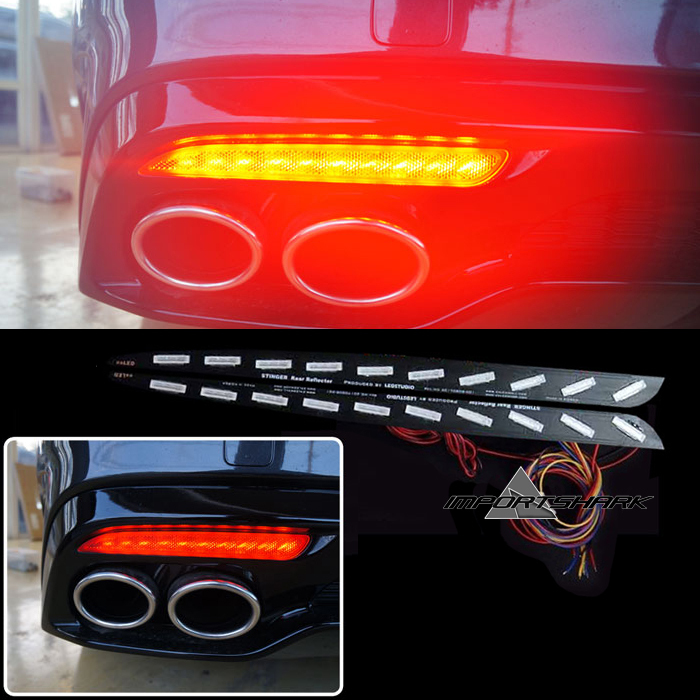 These are full replacement OEM rear reflectors with the LED boards pre-installed for the most simple installation possible. Wiring will be protruding from the backside of the units ready to be wired in. 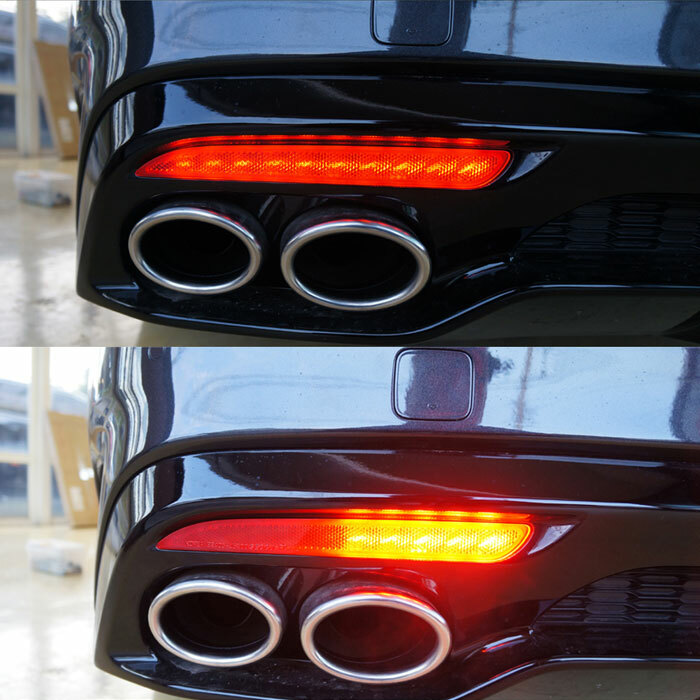 There is an upgrade option for sequential turn signals as well for a small additional cost. Please send an email sales@importshark.com if you might be interested in this option as it is a special order circuit.